Pete & Lucy’s wedding took place on an ordinary summer day in Sydney Australia. The sun rose, babies were born, people slept in, and the lucky one’s headed to Sergeant’s Mess to witness something beautiful – Pete & Lucy’s beautiful outdoor wedding ceremony overlooking Sydney Harbour. The extraordinary part of the day was watching these two incredible people promise themselves to each other for the rest of our days, no matter how ordinary or unusual those days may be. The love and passion they so clearly share for one another is what made this day incredible. 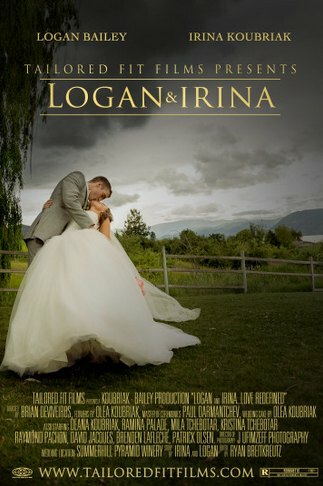 We were honoured to capture their day on film, we can’t wait to see what the future holds in store for them both! 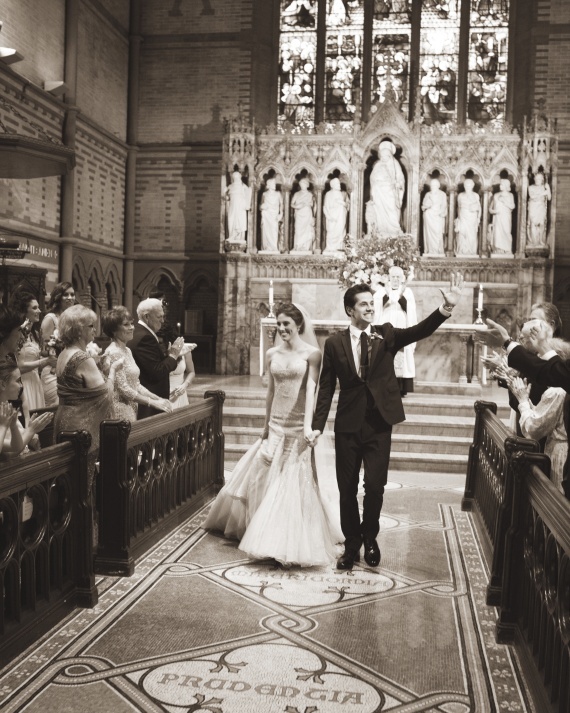 Since its inception, Sergeants Mess has been heralded by bridal parties and critics alike as one of Sydney’s premium wedding venues. 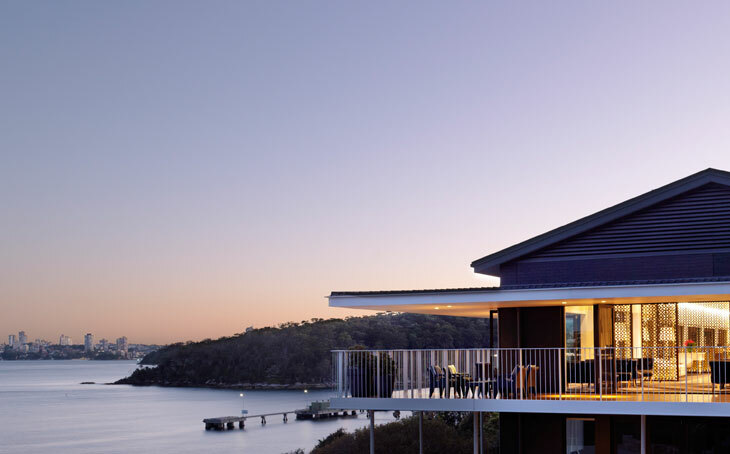 With breathtaking harbour views, elegant intricacies of design and absolute privacy, Sergeants Mess will leave you and your guests captivated. Wedding ceremonies can be held in the beautifully landscaped site next to the venue and the private wharf allows the option of guest arrival in style by water transfer. With a capacity for up to 250 seated guests and a commitment to fine food complimented by premium service, Sergeants Mess is the ultimate wedding experience. 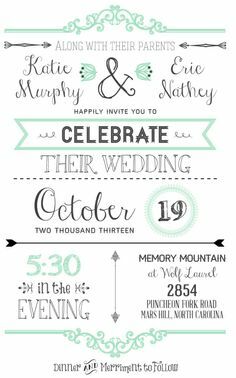 Wedding Invitation Wording – Word the perfect wedding invite! So you’re planning a wedding. You’ve set a budget, you’ve selected a venue, you’ve made your guest list. You’ve also read up on wedding planning tips from the pros to make sure you’re not missing anything. 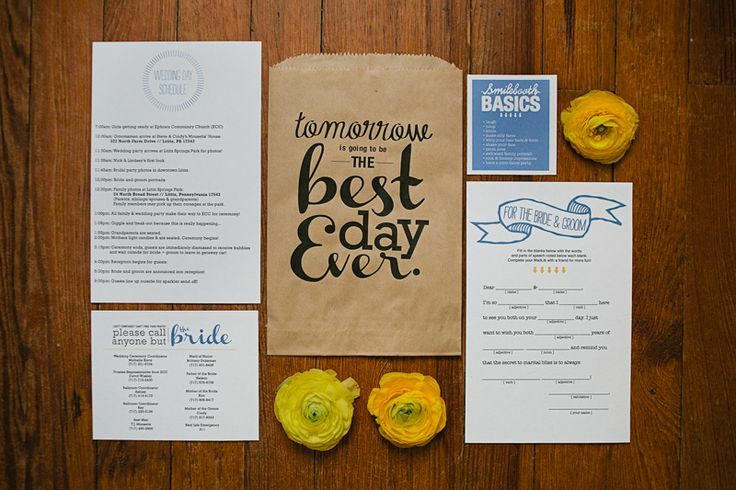 Now its time to send out your wedding invitations – and you’re stuck. 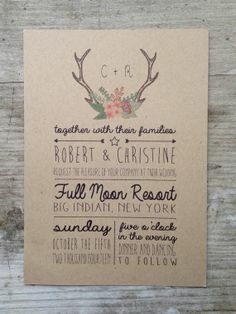 Wedding invitation wording can be a tricky thing to decide. 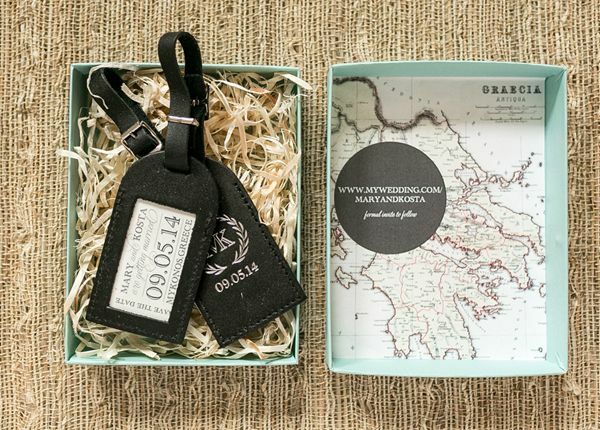 Exactly WHAT should be included on a wedding invitation? 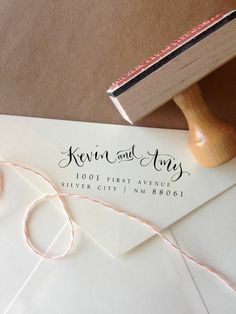 WHERE should I print my wedding invitations? Do I have to send hardcopies? Can’t I just send an email wedding invitation or a video invite instead? That’s just the start of it. 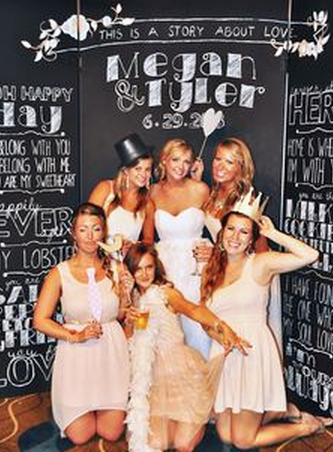 Things can get really tough when you start to think about plus ones at your wedding. This can be one of the challenging things to decide, as allowing guests to bring a plus one will add a significant amount to your budget. 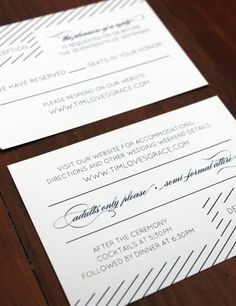 But if you choose to go without, how do you word your invitations so they won’t be offended? How do you decide what counts as a plus one? 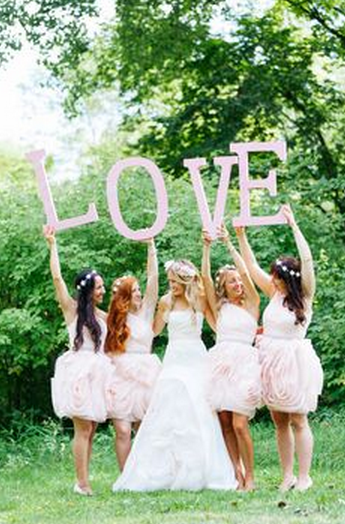 Should you invite your friends fiance to your wedding? Even more, what about your friends and relatives with children? Should they be invited to your wedding? 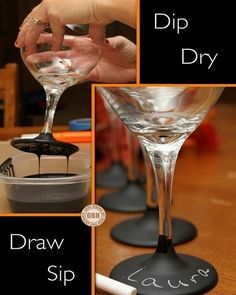 So clearly wording your invitations can feel a bit like tiptoeing across a thin sheet of ice, with deep, dark waters lurking within. How do you make those decisions without staying up all night stressing out? 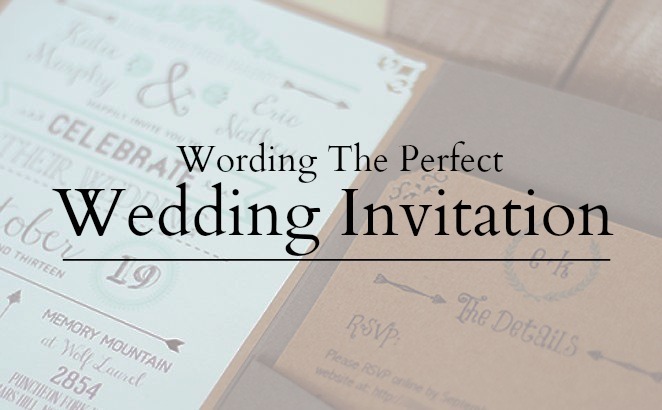 While there is no easy answer, we wanted to share the best tips and approaches we’ve heard to wedding invitation wording. 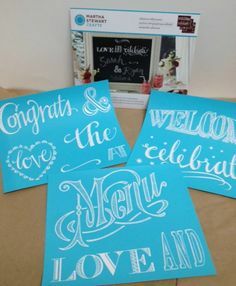 There are lots of options when it comes to wedding invitations, and so we’ve hope some of these make wording your invites a little easier! 2 – If its adults only, make it clear on the invitation. Don’t feel bad about saying adults only, but make it crystal clear on the invite to make sure there aren’t any mixups. Certain close relatives might be an exception, if so let them know on the invite. Also consider having the kids at the ceremony, with an adult only reception as a compromise. If you’re worried guests won’t be able to make it without their kids, you can always provide a babysitting service for the night. 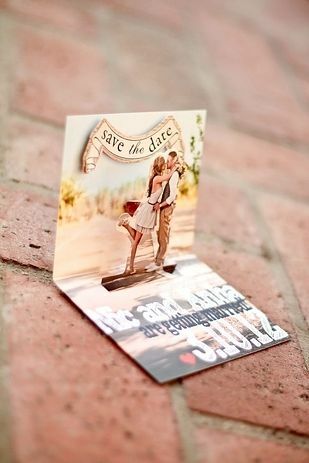 Wedding invites don’t have to be in paper form anymore! With so much of our lives revolving around social media and happening online, a video invite is a great way to give extra info to your guests, or forgo paper invitations altogether (although that might be a little tough to get older relatives like granda and grandpa online!) We love filming invitations and thankyou videos for our couples, and offer it as part of our top package, or as an add on service. 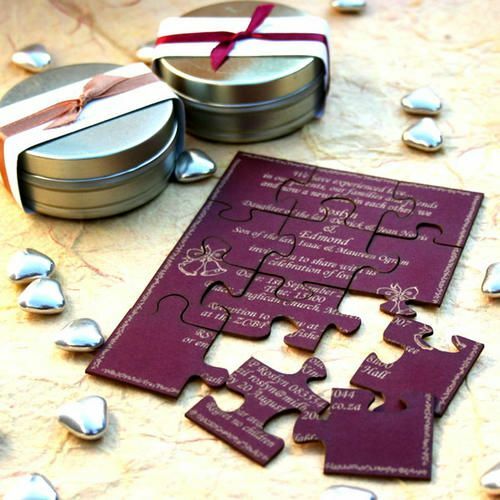 Contact us for more info on a video wedding invitation. This is if you have nice handwriting of course! 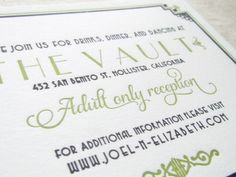 Anything you add to customize your invitations will be appreciated. 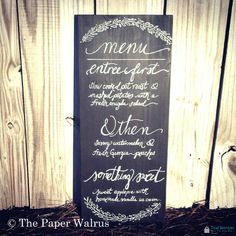 It can be especially helpful to leave some blank space in your design to add in little details certain guests will need while others won’t. 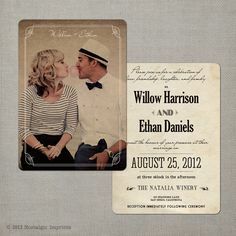 Incorporate a photo from your engagement shoot, or style the invites in a way that represents something unique about you. 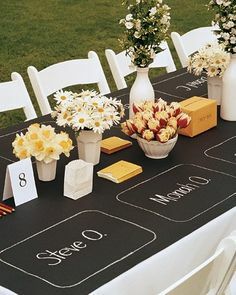 The best weddings period are the ones that are themed around things unique to the bride and groom! So dig into your creativity, and stay true to it. 7 – Make sure to include ALL the details! Date, start time, canapes? 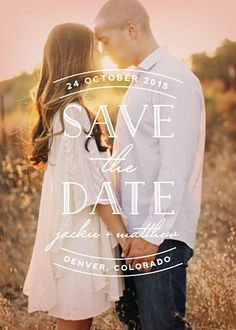 Reception time, addresses, how to RSVP, wedding registry info, accommodation options, plus one/children info. 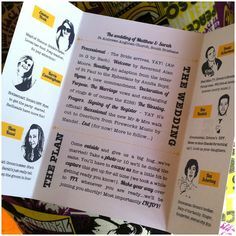 If you can’t fit all this on the invitation, include a link to where they can find all the details (wedding website, google drive doc, youtube video etc) You can also consider using larger envelopes and including a separate sheet with all this info in it. 8 -If design isn’t your thing, there are TONS stationary designers out there. 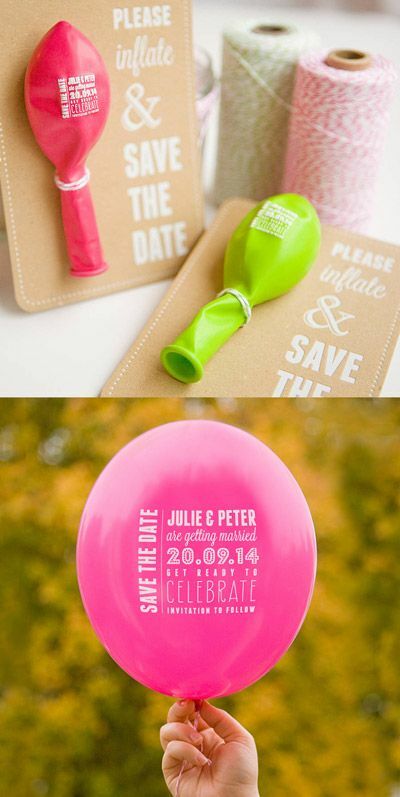 Hopefully they make wording your invitations a little bit easier! 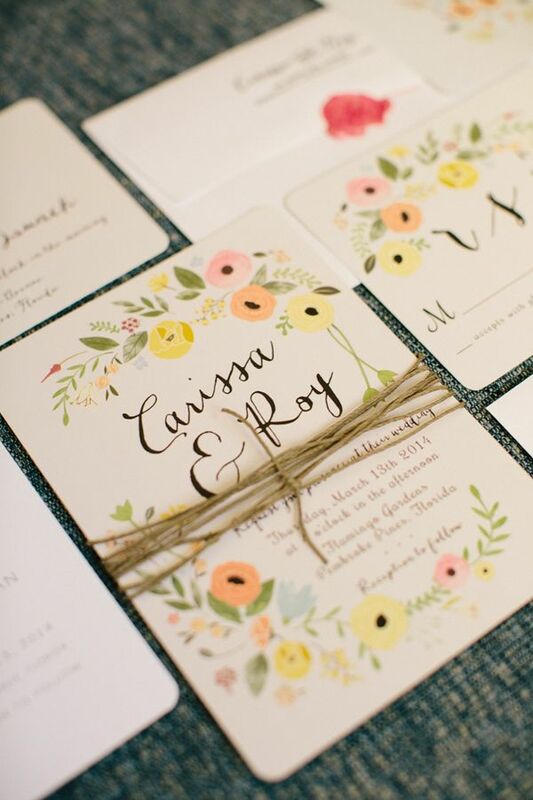 We’ve scoured the internet to bring you our top picks when it comes to wedding invitations. Hope they inspire! 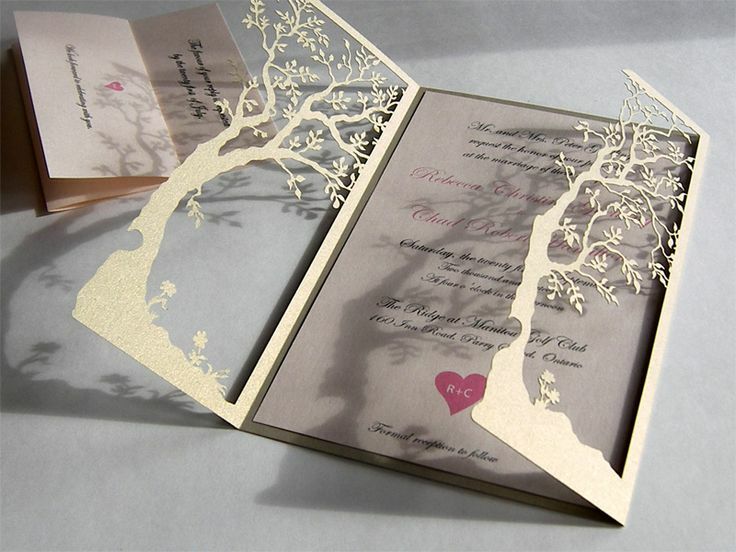 For your reference below, we’ve also put together some lists of local Kelowna Vendors for wedding invitation design and printing. 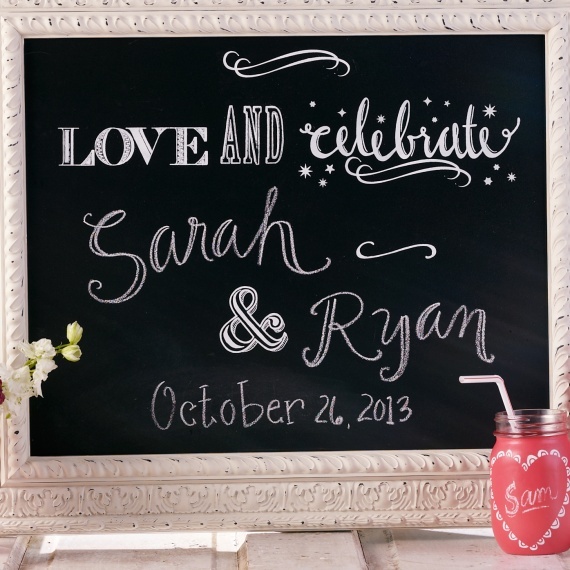 We hope you enjoyed these wedding invitation wording tips and inspiration. If you have some other tips, please let us know in the comments below! 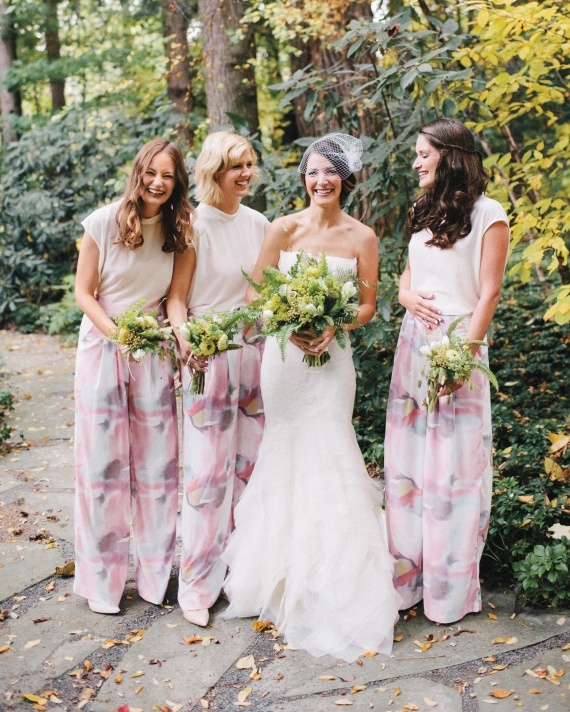 Darcy Miller recently shared her top wedding planning tips for couples and lessons learned over the course of her TWENTY years of wedding planning. The problem with planning a wedding yourself is you only get to do it once. Because of this, you’ll never learn those wedding planning mistakes lessons until after the big day has come and gone – at which point, they’re not much help to you! 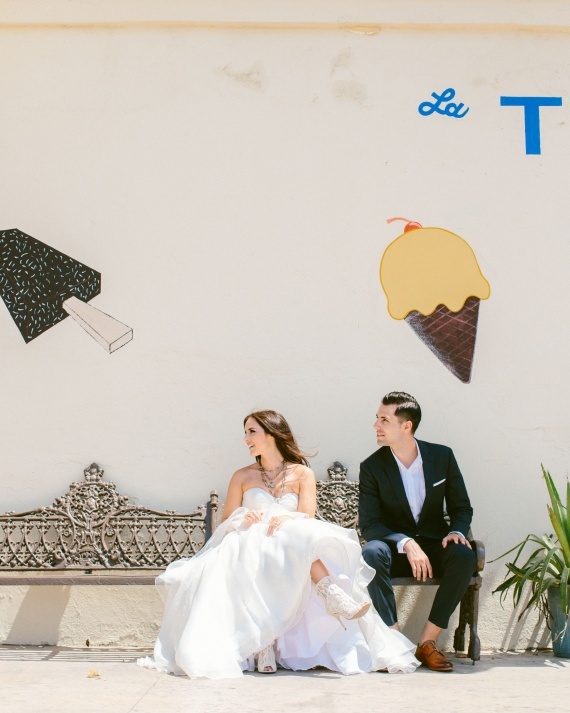 Whether you decide to lean on the expertise of a professional planner or whether you want to strike out on your own, we hope these wedding planning lessons will arm you with the insight you need to bring your dream day into reality. The early bird gets the stress-free celebration. 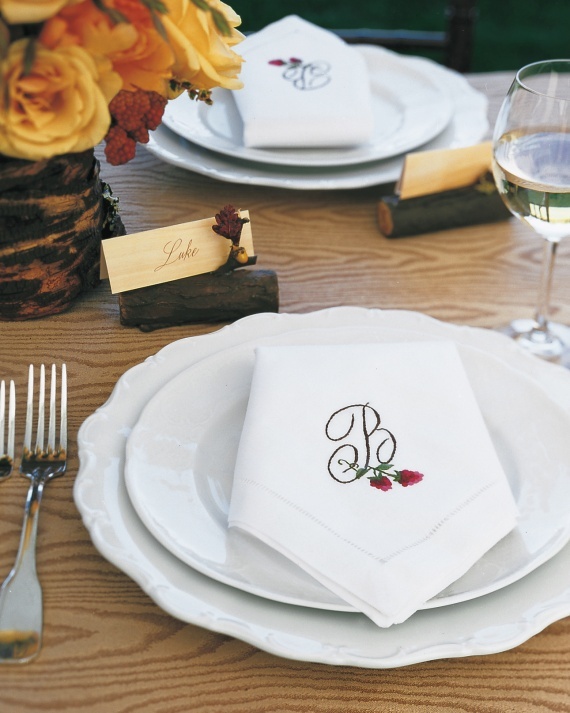 Personal touches make memorable weddings. I couldn’t agree more with Darcy on this one. 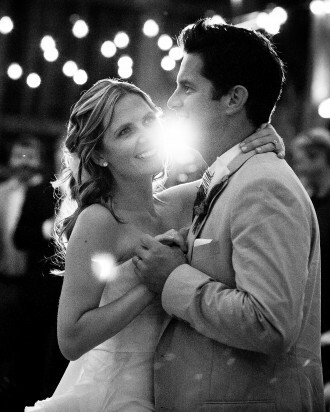 The most memorable and meaningful weddings are the ones personalized to fit you and your fiance. 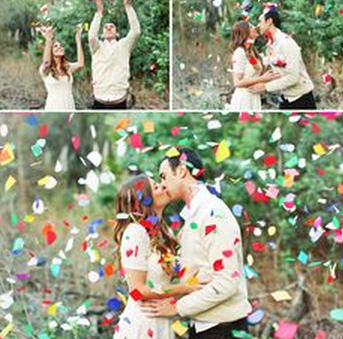 The most heartfelt ceremonies are the ones with personal vows to eachother. The most impacting speeches are the ones straight from the heart. 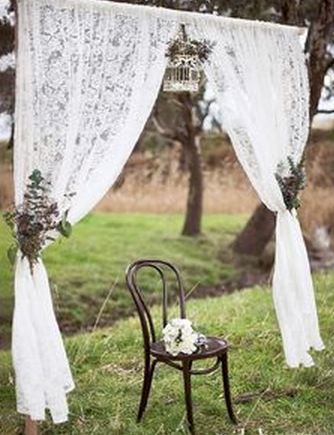 If you love the outdoors, incorporate that into the styling of your reception. If you’re both crazy about hockey, assign table names with your favorite hockeyplayer. 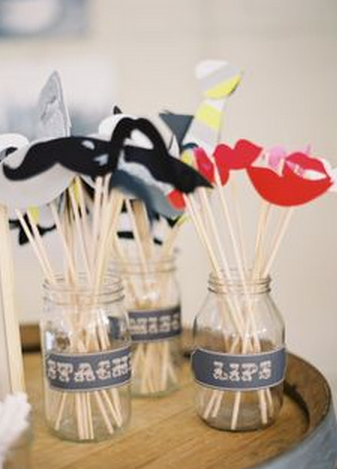 If you love to travel, place photos of the places you’ve been together in the centerpieces. Anything is up for grabs – make your wedding your own. This is absolutely brilliant. 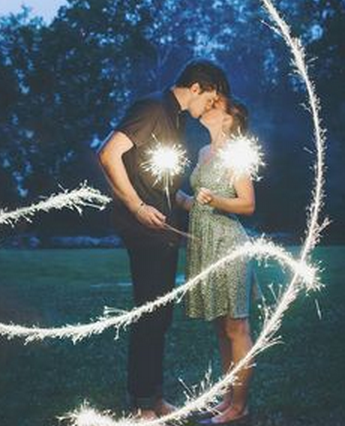 Its a sad mistake that far too many couples make – putting all of their time (and money!) into the wedding reception, and then leaving what’s left over to put towards the ceremony. Your wedding ceremony is the big event, so make sure to dedicate appropriate time and budget towards making it everything you’re dreaming of. Make it unique. Make it special. Make it unforgettable. Plan locations for your shots ahead of time and make sure to plan ahead with your photographer to make sure they’re aware of all the photos you’re after. 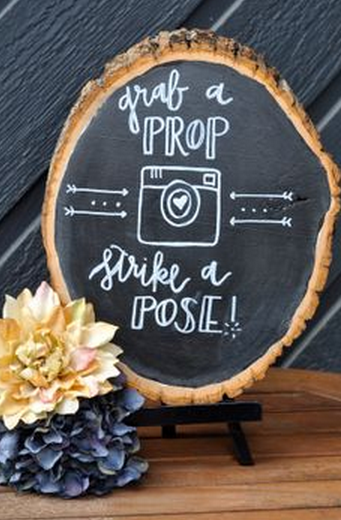 Also make sure to plan for your guests during this time – what will they be doing to keep them happy and entertained while you’re off at your photoshoot? Most of all, budget enough time to get everything you want without rushing or making it feel like a chore – your wedding is meant to be enjoyed! Don’t stress when you can strategize. Flexibility is something you need at a wedding. Your day doesn’t have to go 100% to plan to be amazing – its not the details that make it special, its the main event! So be prepared for a few bumps in the road, and it will all turn out in the end. If you love it – go for it! Stop and Soak it all in. we hear this one from brides all the time. You’ve put months if not years into planning this ONE special day, and all too soon its over and done. There is something very beautiful about that, but it can also be overwhelming. Be prepared for it and remember it as you’re planning – its just ONE day, so savour the entire experience. Yes its true, hiring a videographer is an added investment to an already expensive wedding day – but its the only way to really hold on to that day once its gone. We think the better question is after spending so much time, money and energy on planning this day, why WOULDN’T you want to capture it to rewatch down the road? While your flowers and centerpieces, cakes and decorations, and pretty much everything else you spend money on at your wedding will only last ONE day, your video will last for years (and generations!) to come. 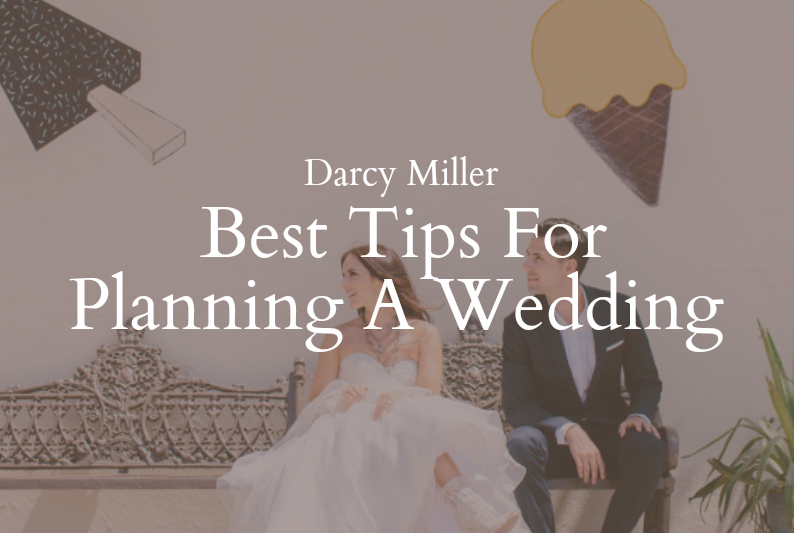 So there you have it – Darcy Miller’s top 9 tips and lessons learned from over 20 years of wedding planning. 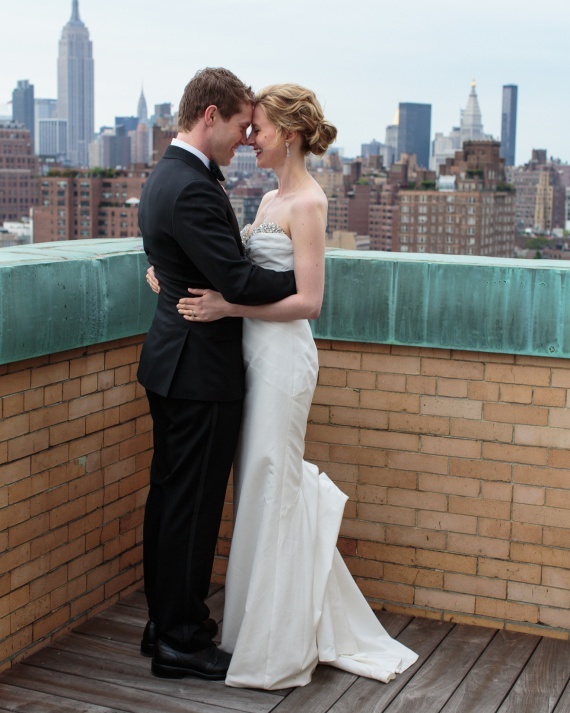 Feel free to check out the original article on the Martha Stewart Weddings Website. If you have tips of your own, make sure to leave em in the comments below! Chalk is Awesome. 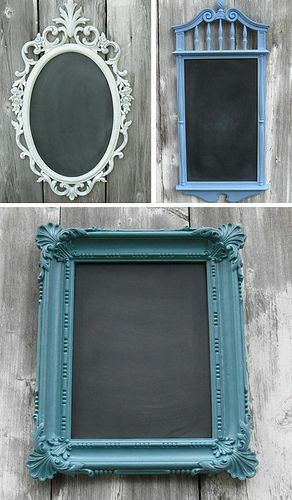 Chalkboard Paint is genius. 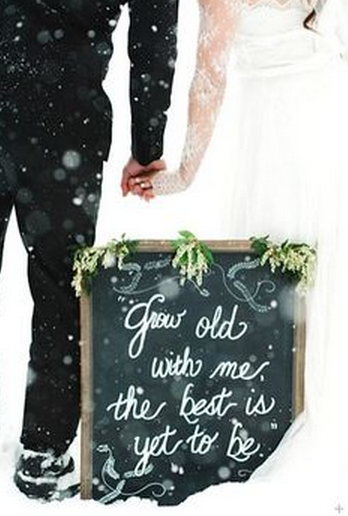 Drawing with chalk is something pretty much all of us have memories of as kids. Every time you pick up a piece of chalk, it brings you back to those days spent doodling on the sidewalk and driveway. 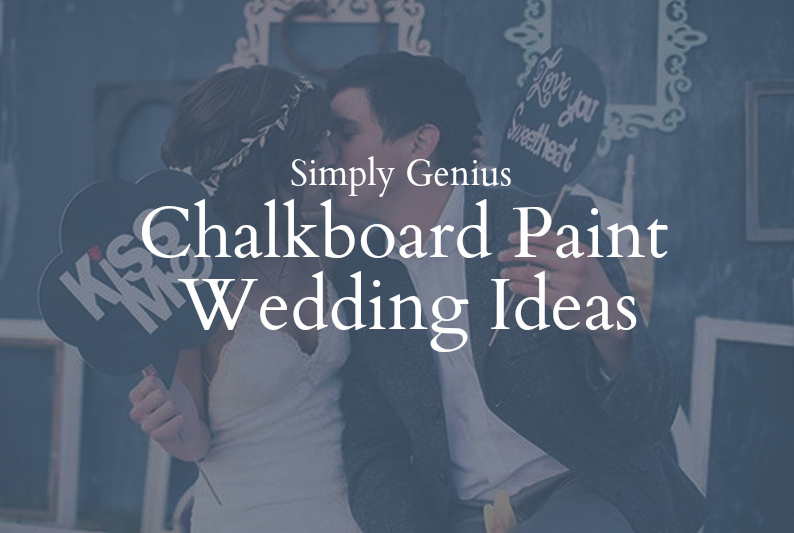 Naturally we were thrilled to come across a new(ish) product taking the wedding reception world by storm – chalkboard paint! 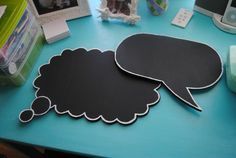 For this photo booth idea, the couple painted a plywood backdrop with sky-blue chalk board paint, conditioning the surface by rubbing it with chalk and then erasing it, then drawing an eye catching design. 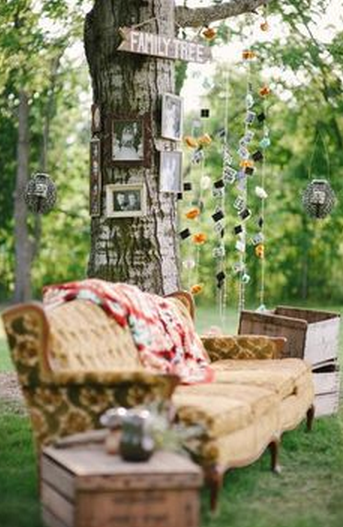 To add a little color and pop, you can embellish with plywood trees and or signs for guests to write their messages on. 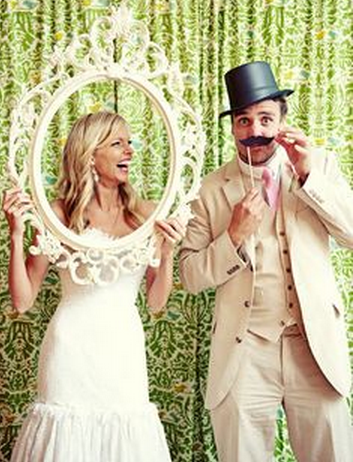 What an awesome and colorful way to add life and pizazz to a DIY wedding photobooth on the cheap. 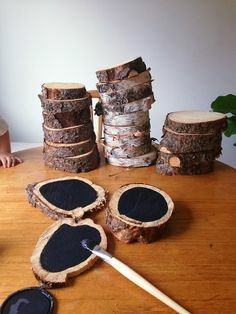 We were also pumped to find out chalk board paint is multi-surface, so it’ll adhere to pretty much any paintable material. Terra-cotta, wood, glass, the sky is the limit! 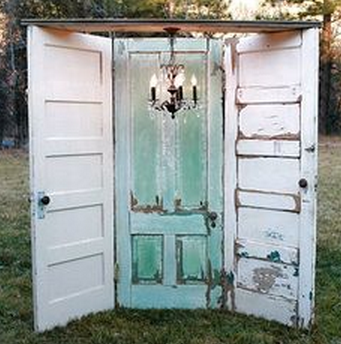 Have other ideas for using chalk paint at your wedding reception? Let us know in the comments below! 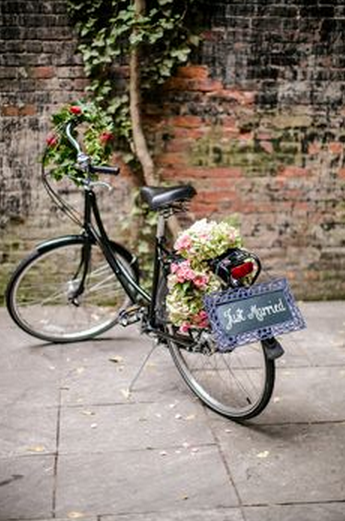 Wedding Photo Props can add interest, depth and diversity to your wedding photography. In our latest round of Okanagan Bridal, we had a chance to Skype with the incredibly talented Julia from J Ufimzeff Photography! 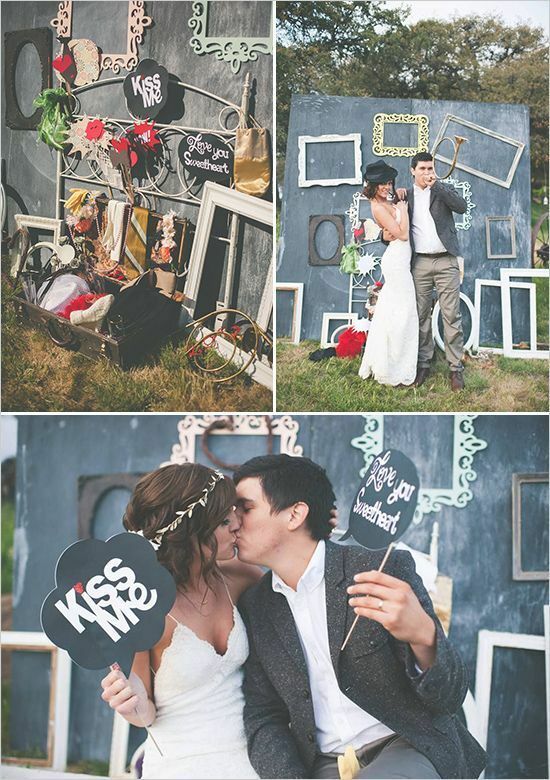 Julia shared the props she’s seen and some great creative ideas to add a little extra something to your wedding photos. 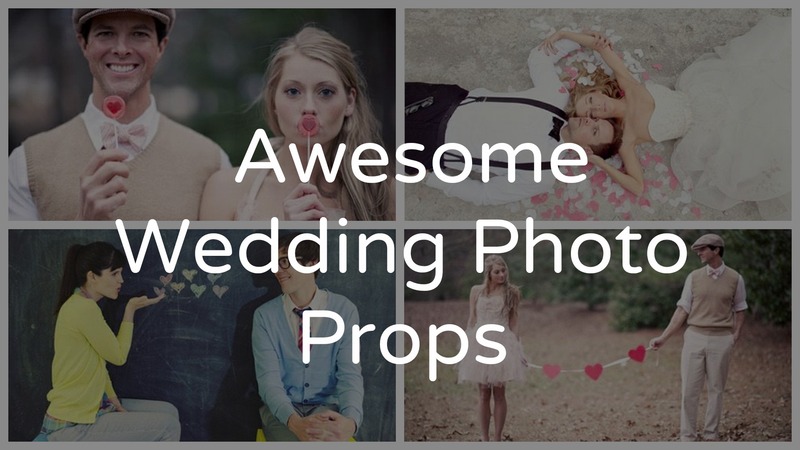 For all the awesome wedding photo prop ideas from Julia, watch the full interview below 🙂 We’ve also compiled photos of our fav wedding photography props for you to check out, so hopefully you’ll find some inspiration for your own wedding photography. Enjoy! 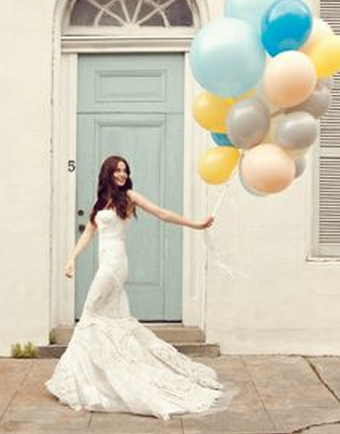 We hope these wedding photo prop ideas gave you some inspiration and concepts to build on! Have you seen any other ideas we didn’t cover here? 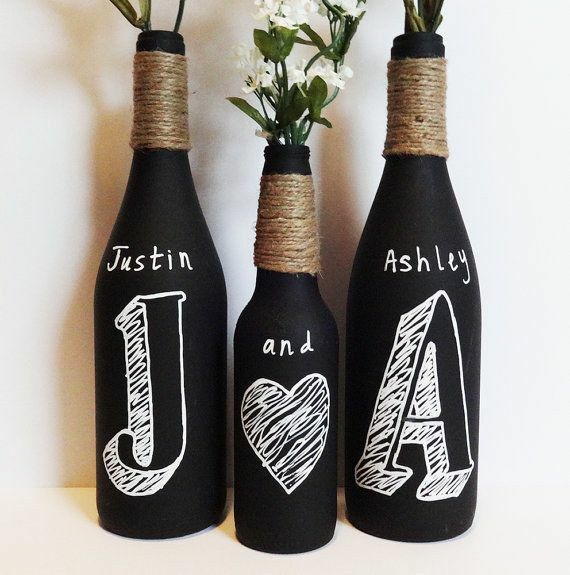 Share them with other brides to be in the comments below! 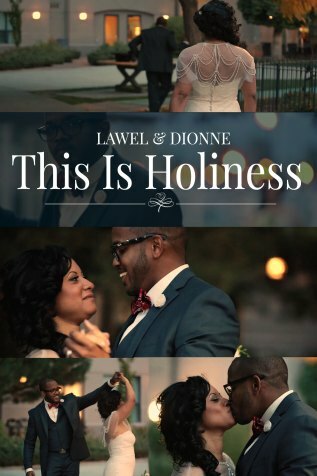 Lawel & Dionne’s Wedding was powerful. There was no question of their heartfelt love and devotion to one another. Thanks again to this amazing couple for trusting us to capture this beautiful day. 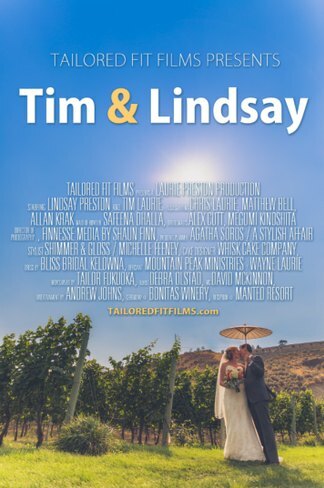 Wedding Filmed at Cedar Creek Estate Winery and at the Hotel Eldorado on Thanksgiving day. “The Pavilion & Rose Garden at CedarCreek Estate Winery offer an exceptional setting for an intimate dinner for 20 or a corporate reception for 100. With immaculately groomed gardens, lush vineyards and breathtaking view of lake and mountains, it is a unique Okanagan setting found only at CedarCreek. The care and attention given the grounds are echoed in both the service and quality of the wine and food you will find at CedarCreek. The Rose Garden has been the destination of choice for many happy couples to share their wedding day with friends and family – the area is offered for ceremony only – and is a setting second to none. We love weddings so much we decided to expand our 2nd floor banquet space in 2011 to create the ultimate wedding reception venue. Anything but a boring ballroom, the Great Room is a unique event space seating up to 150 guests with floor to ceiling windows, cork flooring perfect for dancing the night away and drop down LCD projector to show off your fave photos. The adjoining Lakeview Terrace Bar is perfect for pre-reception mingling and can be set up to feature personalized “Mr.” and “Mrs.” wedding bevies for you and your guests! Johnson Lake Resort is located high up in the Rocky Mountains, about an hour outside of Barriere and an hour and a half outside Kamloops, British Columbia. Nestled between two glacier lakes, it truly is a slice of Canadian Paradise. Believe it or not however, as incredible a location as Johnson Lake is for a wedding, our real excitement when we first heard from Joel & Tami was in capturing their incredible story of redeeming love. When they first contacted us, Joel & Tami had already been married for several years. But like all marriages, it went through its share of trials and testing. They were choosing to hold a wedding renewal to put a stake in the ground and mark a fresh start in their journey together – as a testimony to God’s grace and endless ability to reconcile situations that to anyone else are far beyond redemption. 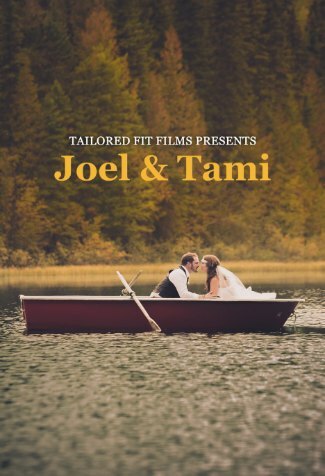 As a studio that believes wholeheartedly in the covenant of marriage, we were 100% on board to capture this incredible story on film so that Joel & Tami’s journey can help and encourage others going through tough times. A huge thanks to Joel & Tami for trusting us to capture their day, as they step into the future together – redeemed. Matthew & Sarina held their wedding at the Historic Lindon House in downtown Kelowna. Their love for each other resounded in their beautiful personal vows, and their outdoor reception was like something straight from a fairytale. 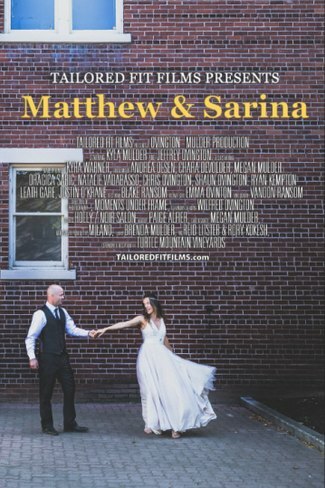 Many thanks Matthew & Sarina for trusting us to capture such an amazing day on film. “Ideally situated in downtown Kelowna, Lindon House provides an exquisite and unforgettable venue for special events. The heritage mansion, built in 1905, was one of the first Edwardian houses in the city and still lies nestled among more than half an acre of sprawling gardens – a hidden treasure in the heart of the city. Over the years, the 4,000-square-foot house has expanded with the addition of a banquet room and cottage. Award-winning designer Suzanne Petti oversaw Lindon House’s renovation to its former glory in 2010, and in 2012 the backyard was landscaped into a breathtaking paradise. Lindon House’s owners, Linda and Don, are now delighted to welcome guests back to a bygone era of gracious and impeccable hospitality, hosting outdoor ceremonies for up to 120 people or intimate indoor events for up to 75. From the Ceremony Tim & Lindsay’s guests were taken to the Hotel Eldorado by Houseboat for the cocktail hour and reception – the boats were a complete surprise for all of them from Tim & Lindsay! This was an amazing wedding, and we are so thankful for Tim & Lindsay trusting us to capture their special day and unique story. A huge thanks to their wedding planner Agatha Soros from A Stylish Affair for keeping the day running smoothly in the face of all the last minute hurdles that inevitably accompany every wedding. If you enjoyed the film, please share using the social media buttons on your left! Planning your dream wedding could not be easier at Hotel Eldorado. 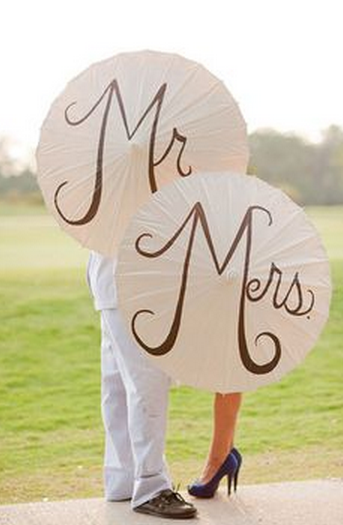 Our Wedding team will ensure that every detail is exactly as you envision it. Stop by for a personal tour or contact us for more information. 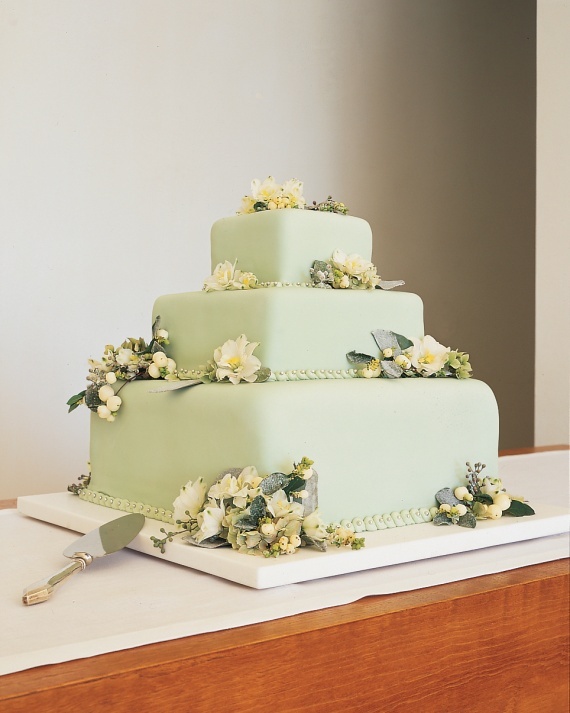 We’d be happy to discuss your ideas and help you with your special day. Imagine celebrating your wedding or special occasion at our charming resort, located on the beautiful shores of Okanagan Lake. Whether you want an intimate celebration in the Upper Lounge of our Clubhouse or a grand gala with 180 people in our elegant Waterfront Ballroom, Manteo Resort has everything you need to make your dream wedding a reality. The resort’s elegant View Room, overlooking the lake in our restaurant, is perfect for private rehearsal dinners, gift openings & brunches. The bride and groom can also book Two or Three-Bedroom Villas for unforgettable stag and stagette parties. At Manteo Resort we specialize in boutique weddings and can customize every detail to suit your budget and your lifestyle. From catering services to romantic honeymoon suites, we know how to make your vision come to life. The Kelowna Vineyards and Okanagan Lake were the backdrop for Logan & Irena’s unbelievably gorgeous wedding at Summerhill Pyramid Winery. If you haven’t had a chance to check out this beautiful vineyard, you’re missing out. Not only does Summerhill produce amazing wines, it is also in one of the most beautiful locations in the Okanagan -their outdoor wedding ceremony site looks out over Okanagan Lake and surrounding countryside. The reception hall also features huge glass windows looking out over the valley – guests are guaranteed to be thrilled with the surrounds and ambience of this wedding location. Summerhill is the ideal location for an unforgettable wedding, convention, dinner, tour, or any special event you desire. 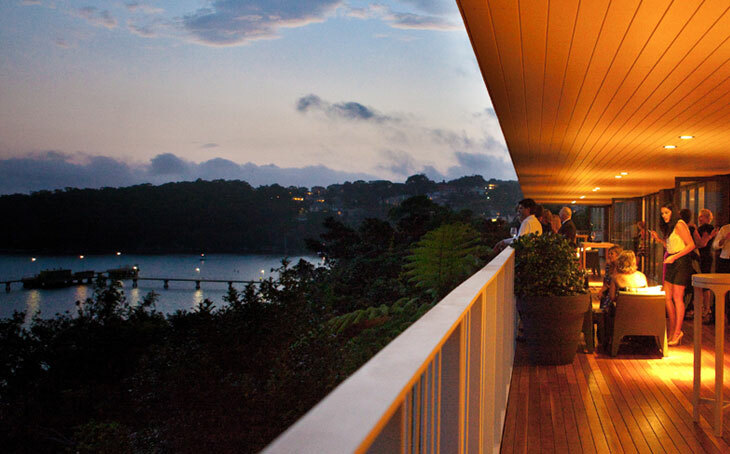 Experience the superior service, award winning wines and gourmet cuisine of Summerhill. We offer a wide variety of venues for your special events. There is the Summerhill Sunset Glass Room, The Sunset Veranda, The Pyramid and Vineyard Terrace, all with their own unique style.